Almost 75% of women experience at least one symptom of premenstrual syndrome (PMS) every month. It is most common between the late 20s and mid-40s. The exact cause is not clear, but it is associated with changes in hormone levels during the week before your period. 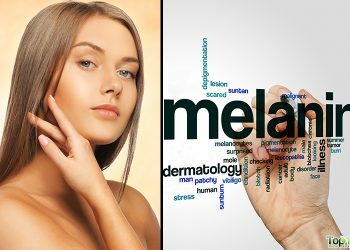 Factors like poor diet, stress, high body mass index, environmental toxins and hereditary factors also contribute to this problem. PMS is associated with a wide variety of symptoms, such as bloating, water retention, headaches, cramps, mood swings, irritability, food cravings, upset stomach, constipation, acne, breast tenderness and fatigue. 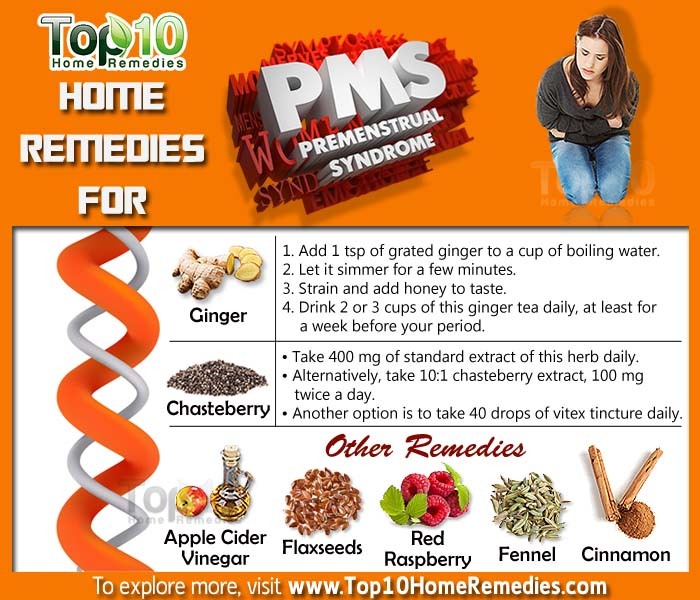 Although there is no real cure for PMS, you can follow some natural and easy home remedies and practice a few healthy habits to reduce this problem. If your symptoms are more severe and disrupt your daily activities, consult your doctor. A severe form of PMS is called premenstrual dysphoric disorder (PMDD). 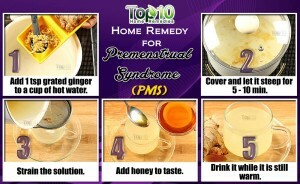 Here are the top 10 home remedies for premenstrual syndrome (PMS). Ginger is an excellent natural remedy for menstrual problems, including cramps, PMS and irregular menstruation. A study published in the journal International Scholarly Research Notices found ginger to be effective in reducing the severity of PMS symptoms. Add 1 teaspoon of grated ginger to a cup of boiling water. Let it simmer for a few minutes. Strain and add honey to taste. Drink 2 or 3 cups of this ginger tea daily, at least for a week before your period. Note: If you have problems with gallstones, consult your doctor before using ginger as a remedy. Chasteberry, also called vitex, regulates the endocrine system and the synthesis of hormones. It suppresses the release of prolactin, a hormone that is believed to be a contributing factor in PMS symptoms. It also helps treat irregular menstruation. Take 400 mg of standard extract of this herb daily. Alternatively, take 10:1 chasteberry extract, 100 mg twice a day. Another option is to take 40 drops of vitex tincture daily. 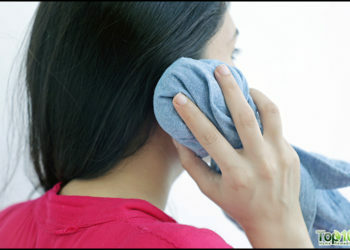 Follow any of these remedies for at least a few months. As with all supplements, consult a doctor first. Note: This herb may interfere with drugs that affect the pituitary gland. Apple cider vinegar is helpful in treating a wide variety of ailments. It is also good for reducing PMS symptoms like bloating, water retention, cramping, headaches, irritability and fatigue. Mix 1 to 2 teaspoons of raw, unfiltered apple cider vinegar in a glass of water. Add a little raw, organic honey. Drink this solution once or twice daily. Flaxseeds contain omega-3 fatty acids that have been found to be helpful in reducing PMS symptoms like depression, anxiety, bloating, breast tenderness and headaches. Plus, they contain lignans that block excess estrogen and balance hormone metabolism. They are also an excellent source of fiber. Consume 1 tablespoon of freshly ground flaxseeds twice daily. You can add it to your oatmeal, cereal, smoothies, salad or cooked vegetables. 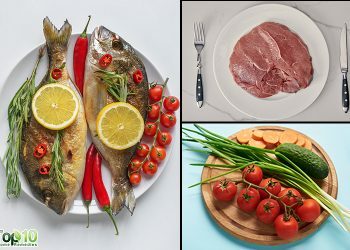 You can also include fatty fish, coconut oil, eggs, pumpkin seeds, chia seeds, almonds, walnuts and other foods rich in essential fatty acids in your diet. Calcium is believed to help balance hormone levels, thus easing PMS symptoms. Also, it is good for your bones as well as overall health. Magnesium helps reduce symptoms like food cravings, breast tenderness, fluid retention, bloating and menstrual migraine headaches. Both nutrients also reduce stress and alleviate cramping. Eat calcium and magnesium-rich foods like green leafy vegetables, beans, kelp, blackstrap molasses, bananas, nuts and seeds. Blackstrap molasses is a good source of iron, calcium, magnesium, selenium, zinc, vitamin B6 and various other vitamins and minerals. Mix 1 tablespoon of this brown syrup in a glass of milk and drink it daily. You can also take up to 1,200 mg of calcium and 300 to 500 mg of magnesium daily. Before starting any supplement regimen, consult your doctor. Vitamin B6 and E are also beneficial for treating PMS. Regular exercise is highly recommended for reducing premenstrual syndrome. Although more research is needed to confirm this, a few small studies suggest that exercising can ease some symptoms, especially pain and mood swings. It will also reduce stress, boost your mood, increase your metabolism, facilitate weight loss and improve your overall health. Women should engage in moderate physical activity for at least 30 minutes, 4 or 5 times a week. Vigorous exercise can also be undertaken a few times a week. Two muscle-strengthening sessions a week are also a must. Some women have reported an improvement in their symptoms after joining an aerobic exercise program. Note: Rest assured that exercise is good for you even during your periods and the days leading up to it. However, do not engage in exercise excessively. 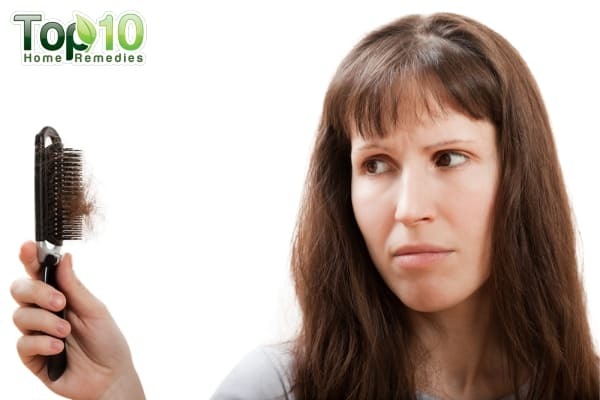 Red raspberry herb is beneficial for women at all stages of life. It has been found to work as a relaxant agent, thus reducing cramps and spasms. It is rich in various vitamins and minerals, especially B-complex vitamins, calcium and magnesium. It also works as a uterine tonic, aids digestion and regulates menstrual periods. Add 1 tablespoon of dried red raspberry leaves to a cup of boiling water. Let it steep for about 15 minutes. 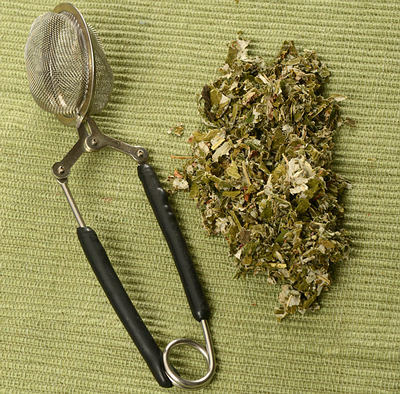 Strain and drink this tea up to 3 times daily, at least for a week before your period. Another option is to take red raspberry leaf capsules or extract. For proper dosage and suitability, consult your doctor. Note: This herb may not be suitable for those suffering from hemochromatosis or iron overload. Evening primrose oil may also help reduce PMS symptoms. 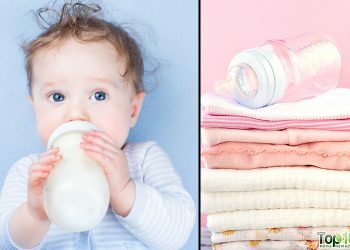 It is particularly beneficial for those dealing with breast tenderness. Plus, it is loaded with gamma linolenic acid (GLA) that helps regulate pain and inflammation in the body. 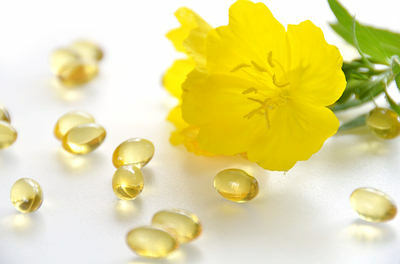 Take 500 to 1,000 mg of evening primrose oil standardized extract daily for about 3 months. Before starting any supplement regimen, consult your doctor. Fennel is considered useful in relieving cramping and discomfort associated with premenstrual syndrome and menstruation as it helps rebalance female hormones. Plus, being a natural diuretic and digestive aid, it helps reduce water retention and bloating. 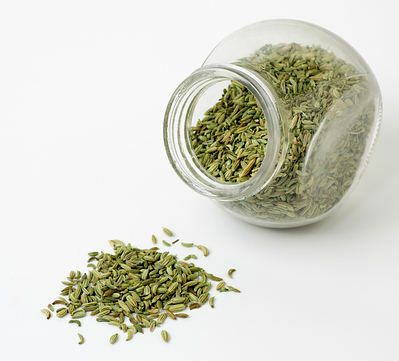 Add 1 teaspoon of crushed fennel seeds to a cup of boiling water. Let it steep for 10 to 15 minutes. Strain and drink this fennel tea daily for at least a few months. You can also simply chew on a few fennel seeds daily. Another added benefit is that it will keep bad breath at bay. Cinnamon has potent anti-inflammatory and antispasmodic properties that help relieve PMS symptoms like cramps. Also, it contains nutrients like calcium, manganese and iron. 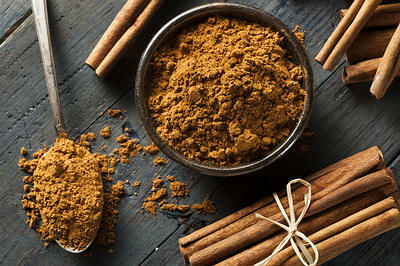 Cinnamon is good for digestion and blood sugar control as well. Add ½ to 1 teaspoon of cinnamon powder to a cup of boiling water. Add some milk and a little honey. Let it simmer for a few minutes. Drink this tea daily, at least for a week before your period. You can also include cinnamon in your diet by adding it to many foods and beverages. Limit your salt intake as it contributes to water retention. Reduce your intake of processed foods and refined sugars. Eat more vitamin B-rich foods, such as eggs, milk, poultry, fish, soy beans, leafy greens, whole grains, wheat germ, oatmeal, and various nuts and seeds. Research indicates that women who eat a vitamin B-rich diet are less likely to develop premenstrual syndrome. Include more fiber in your diet as it promotes intestinal clearance of estrogen. Raw carrots are particularly beneficial. Drink plenty of fluids, but cut back on caffeinated and alcoholic beverages. Manage stress using relaxation techniques.